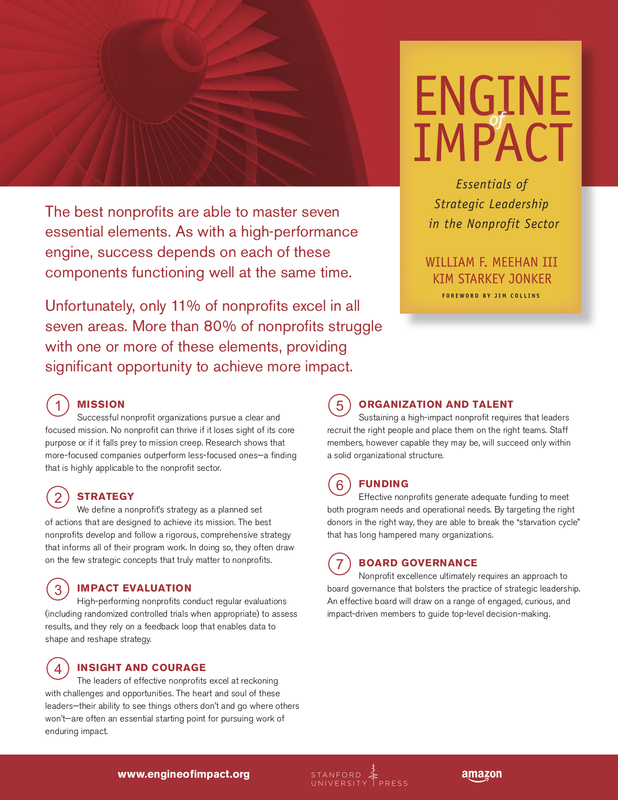 On Saturday, Oct. 28, Bill Meehan and Kim Jonker launched their efforts to promote Engine of Impact in a special event at Stanford Graduate School of Business (GSB)—the institution where much of the thinking and research in the book originated. 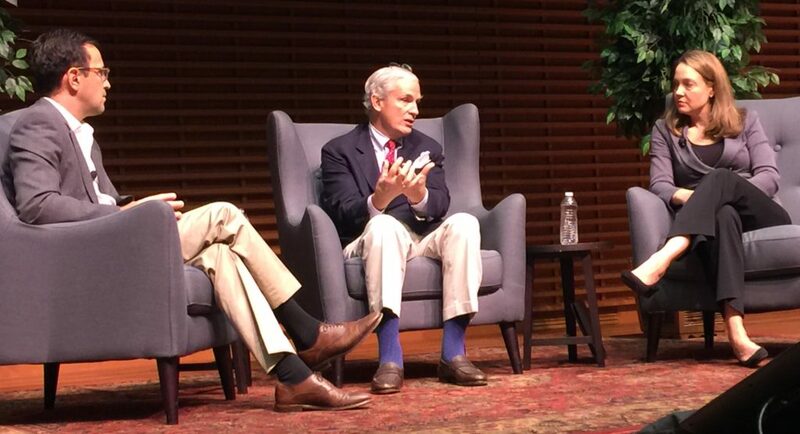 Jon Levin, dean of GSB, joined Meehan and Jonker for a wide-ranging discussion of themes and lessons from the new book. The event, held at Cemex Auditorium on the Stanford University campus, was part of the festivities for Alumni Weekend at GSB. Meehan and Jonker, speaking to a nearly full auditorium, talked at length about the steps that GSB alumni can take in their role as business leaders and nonprofit board members to boost the impact of organizations in the social sector. In a striking moment during the interview, Dean Levin asked attendees to raise their hand if they currently serve on a nonprofit board. The overwhelming majority of GSB alumni at the event—as many as three-fourths of them—raised their hands. Attendees expressed curiosity about serving in that role more effectively, and Meehan urged them to use that curiosity as an asset. “Keep asking dumb questions until you figure out what the smart questions are,” he said.